The Man In Black will forever be a legend in country music and he had too many songs to count. 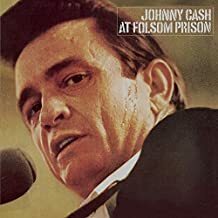 We have enjoyed adding a few of Johnny Cash song lyrics to this web site in hopes that someone might like to learn to play and sing them. Johnny Cash was honored to be the youngest inductee into the Country Music Hall Of Fame at the age of 48. The Rock and Roll Hall Of Fame also honored him in 1995 thus making him one of just a handful of country artists to be noted in both organizations. Get your kids involved in music, maybe teach them how to play the guitar , it may become one of their passions and therefore just might keep them on the straight and narrow path, it’s difficult in these modern times. I realize most youngsters don’t particularly enjoy country, but most have never heard many of these great songs. If they have a tendency to sing or play, most classic country songs are not that difficult, so if they can do it well, he/she might succumb to our music and what a great way to keep some of these great old songs alive. Johnny Cash song lyrics may be the ones to win them over.